Billed as a "Indie Comedy Horror, Sci Fi mashup in Mockumentory style" following the journey of Carlos Revalos who is attempting to make the biggest film of his life. My first issue as a reviewer is with the description. What on earth is an Indie Comedy Horror, Sci Fi mashup done in mockumentary style supposed to mean? It sounds like a total mess and actually it is. Lasting 1 hour and 29 minutes (I will never get that time back again) most of the film is taken with a shaky camera following the actors and cast as they attempt to develop this shocker of a film. NYPD Blue it is not! The first scene in which the writer meets with the production team is painful. The acting is substandard and, to be honest, I've seen better acting in my 5 year old's christmas play. The sci fi element seems to consist of dry ice and a blow up inflatable blue alien. This isn't sci fi and it's not funny, it's just awful. There is no plot aside from the basic premise of making a film which has no plot. Neither does it have any horror elements. I really cannot see the point of it at all. Mockumentory to me means "Spinal Tap," full of knowing digs at the chosen subject, funny ones. I have seen a large number of B movies, I enjoy independent films, I really do. But there has to be a certain standard of professionalism of interest to hold my attention. To make a bad film, documenting how another equally bad film is being made, is not entertainment it's torture. The availability of film editing and making equipment means that pretty much anyone with a Mac and camera can put together a film. That's fine but sometimes it perhaps shouldn't be viewed by a wider audience. Le Fear 2 is sadly is a film that should not be watched by anyone. Serious Indie film makers are striving to prove to audiences that a great film can be made without backing from the main production houses. Le Fear 2 could be used as evidence for the argument that this shouldn't be given time of day. The characterisation is non existent. There is no attempt given to endear a viewer to them and this leads you to simply not caring about the events as they unravel. Don't watch it ever! I'm fairly sure the director/writer will violently disagree with my review and will accuse me of missing the point. I would challenge him to show me the plot, show me the horror and sci fi elements. I would ask him to look at this film objectively. If he had just paid £9 to watch this would he leave the cinema happy with the experience or would he feel like he had been short changed. Me? I feel like I've been mugged and I didn't pay to watch it. 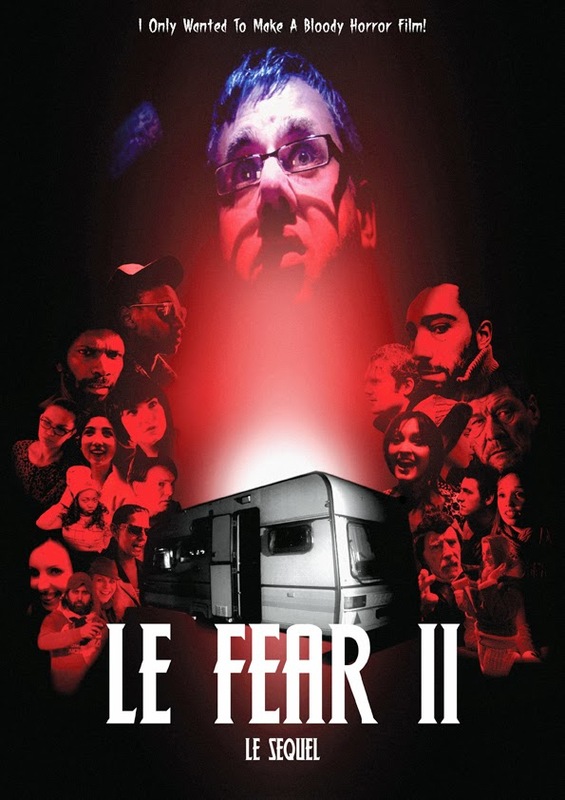 David Martin gives Le Fear 2- Le Sequel minus 20 out of 10.